Cesar emerged from obscurity at a perfect time for Flamengo, making crucial saves to help them to the final. The usual custom of show business is to close with the big finale. That happens in European club football, where the season builds towards the final of the Champions League. South America is doing things differently. 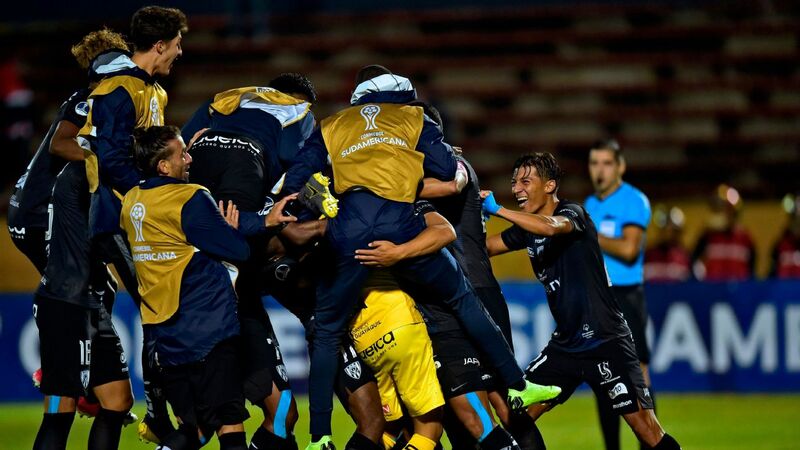 Its version of the Champions League, the Copa Libertadores, came to a conclusion last week with Gremio of Brazil beating Lanus of Argentina 3-1 on aggregate. But there is still unfinished business. Still to come are the two legs of the final of the Copa Sudamericana, the Europa League equivalent, nowhere near as important and prestigious as the Libertadores. There is an easy explanation for this strange inversion of showbiz principles. The Club World Cup is about to kick off, and South America needed to define its champion in time to make it over to the United Arab Emirates. Gremio will play their first match next Tuesday, the day before the second leg of the Sudamericana final. With the Club World Cup facing a rethink, this might not be a consideration in future years. For the moment, though, international club competition in South America is in the strange position of bringing down the curtain with its second-string event. Just as well, then, that the 2017 Sudamericana final features two giants of the continent's game. Argentina's Independiente and Flamengo of Brazil will do battle for the title over what promises to be two intriguing games of football. 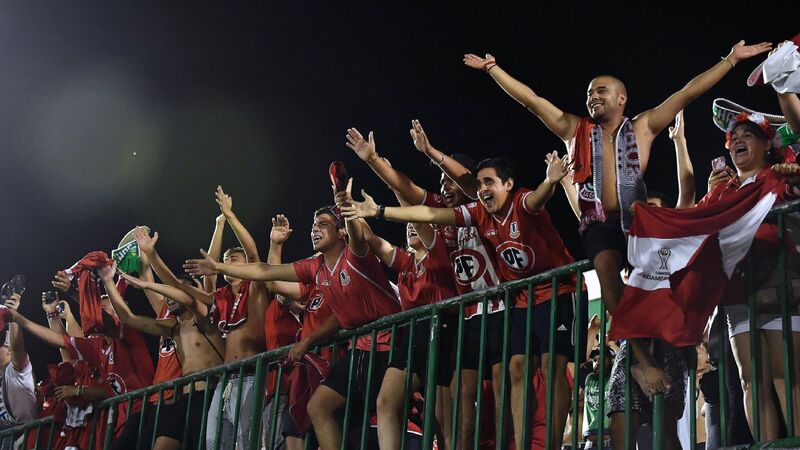 At home in Wednesday's first leg, Independiente boast seven Libertadores titles, collected between 1964 and 1984. They also boast one of the most fascinating coaches in the world game; Ariel Holan has a background in field hockey, only switching to football when he was past 40. After years as an assistant and a youth coach, he went for his first solo flight at little Defensor y Justicia in 2015 and took over at Independiente at the start of the year. His team is dynamic and unorthodox. They can switch functions and formations -- any one of Juan Sanchez Mino, Nicolas Tagliafico or Gaston Silva is likely to pop up in the attacking left-back position, for example. National team coach Jorge Sampaoli is a big fan of the team's tactical approach -- and in skilful little attacking midfielder Ezequiel Barco, they have a talent that might be destined for big things. Nicolas Tagliafico, left, will be key for Independiente. Meanwhile, Flamengo have only one Libertadores title to their name, back in 1981, and in recent years they have accumulated frustrations in the competition -- indeed, their presence in this year's Sudamericana is the consequence of yet another group phase Libertadores elimination. But they are a giant team with massive support, who will have the huge, iconic Maracana stadium roaring them on in next week's return match. The Sudamericana title will save their year. The current administration have given priority to sorting out the club's typically chaotic finances. The fans have shown patience -- but that is starting to run out. They want silverware. There is an extraordinary story behind their presence in the decider. In the first leg of their semifinal against Junior of Colombia, goalkeeper Diego Alves picked up a serious injury. He was replaced by Alex Muralha, whose poor form has been a huge issue in the local media and who appears bereft of all confidence. Muralha had a dreadful time in Flamengo's next league game, leaving coach Reinaldo Rueda with a difficult choice to make for the second leg in Colombia. Should he stick with Muralha? Or should he throw third choice Cesar in the deep end, even though he had not played a competitive match in almost two years? In the end he went with Cesar -- who saved a penalty at a vital moment, and then performed more heroics at the weekend in Flamengo's last domestic fixture. There would seem to be no doubt at all then over who will get the nod for the first leg of the Sudamericana final. A goalkeeper all but forgotten two weeks ago will now carry the hopes of millions of Flamengo fans against Ariel Holan's Independiente. It might, after all, produce a fitting finale for the continent's year of club action. Tim Vickery covers South American football for ESPN FC. Follow him on Twitter @Tim_Vickery.